We have the last few pieces of Ecocapsules from our exclusive series available. If you want to be among the first 50 Ecocapsule® pioneers and you are interested in a customized Ecocapsule®, order now! The prices of technologies change over time. After finishing the first, exclusive series, we will launch the second, mass-produced series. If you want to wait for a better price, reserve your place in the Ecocapsule® queue. Do you want more than one Ecocapsule®? Do you plan to use it in a special way, e.g. as a hotel cabin? Do you want to be among the first to receive one? Please contact us. 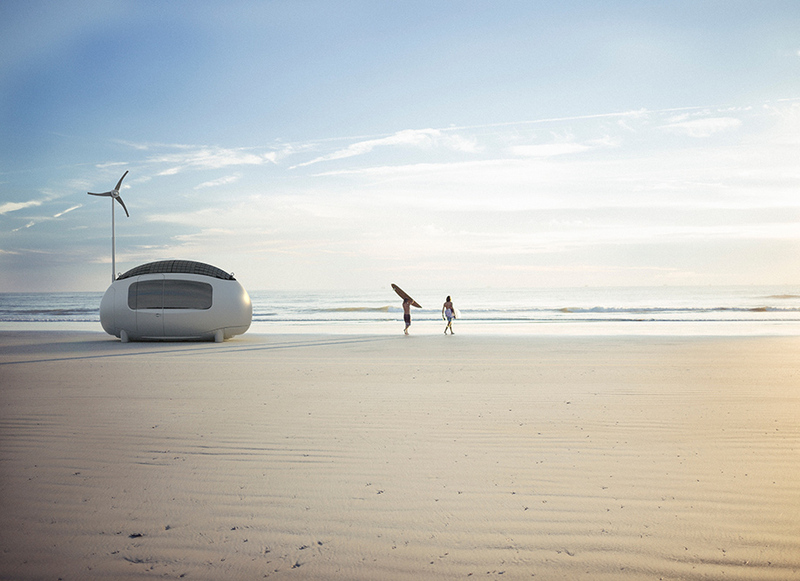 Ecocapsule® is a smart, self-sustainable micro-home, which utilizes solar and wind energy. It allows you to stay in remote places out of reach of infrastructure, with the luxury of a hotel room. Ecocapsule® is your design way to independent housing. It can serve as a cottage, pop-up hotel, caravan, mobile office, research station, or anything you want it to be. We have engineered the product from scratch to be as self-sufficient, practical and functional as possible. 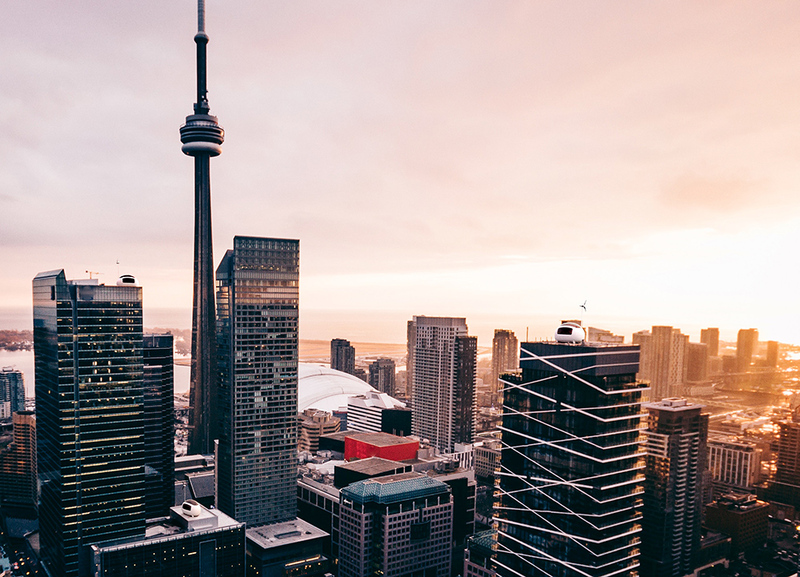 Join us and change the world - starting with yours. The installed solar power is 880W. We have chosen high-efficiency solar cells in order to maximize energy production. The unique shape of Ecocapsule® not only minimizes heat loss, but also provides the most important thing for life: Water. Rainwater is collected on the surface, where it’s collected to water tank and filtered for your convenience. 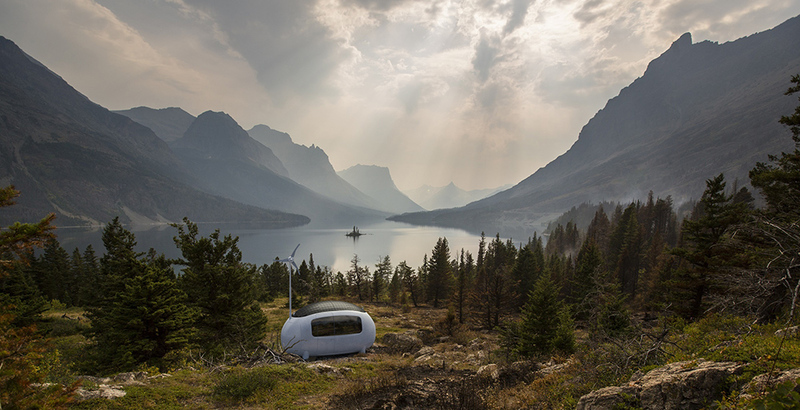 At roughly 120 square feet, the Ecocapsule takes tiny living accommodations to the next level. 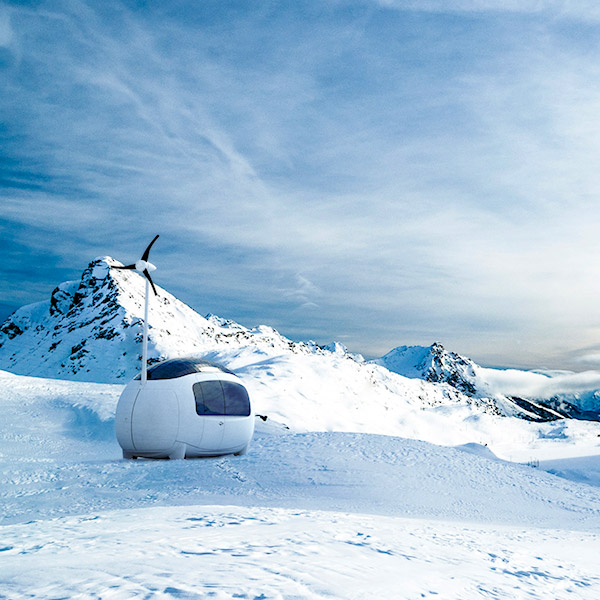 When the Ecocapsule reaches the market next year, the buzz will reach new heights. Environmentally friendly, self-sufficient eco-pods, could transform the way we experience the outdoors. Marrying form and function with a modern aesthetic, everything about the Ecocapsule is designed with efficiency in mind. A company have created the Swiss Army knife of houses, which has everything residents would need to settle wherever they choose. It is somewhat reminiscent of the capsule that landed on Earth with baby Superman in it. The egg-shaped house just seems not quite of this world. 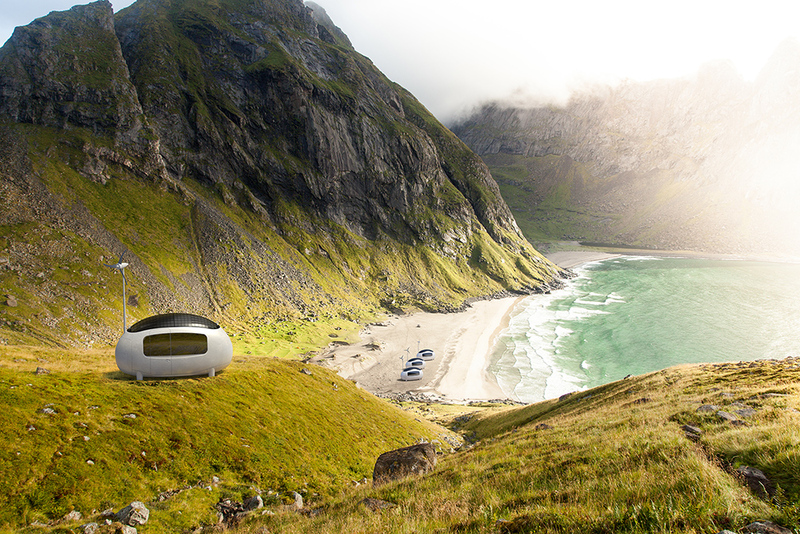 Beyond just nomadic living, the Ecocapsule has plenty of other potential applications, from providing shelter in disaster areas to doubling as scientific research stations. The interior is futuristic but warm: bright white with blond wood and lots of natural light. Probably not a prime spot to host a party, but it's nicer looking than a lot of trailers and RVs. An Airstream offers retro appeal, but it can’t compare to the sustainable, high-tech glamping you could do in an Ecocapsule. Once in your possession, though, it sounds pretty easy to move the egg-shaped abode around. At last, a micro-cottage for people who don’t want to figure out electrical wiring and plumbing. If you've ever wished you could post up on a mountaintop forever, then meet your new home. Its designers, Nice Architects from Slovakia, made good use of every inch of interior space. The units could be used as research stations, emergency housing, or a humanitarian-action unit. 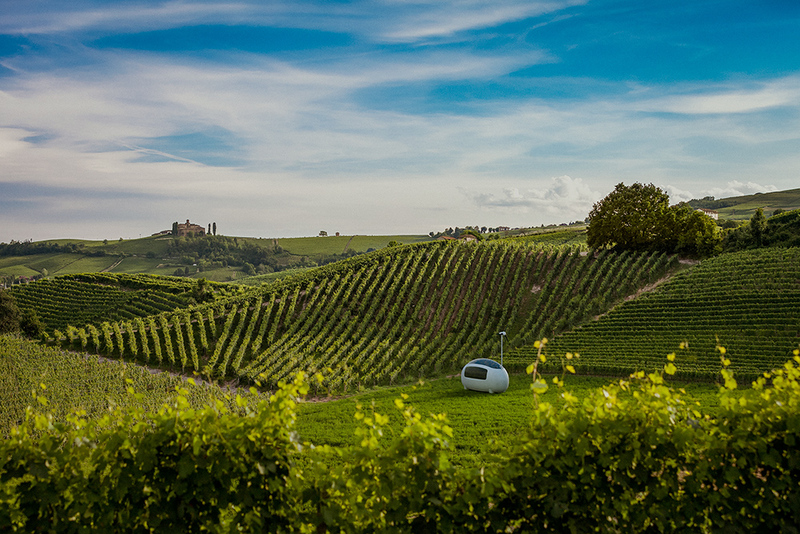 It’s no bijou living – the Ecocapsule can comfortably house two people in its 8 square meters (86 square feet) of well-designed space. 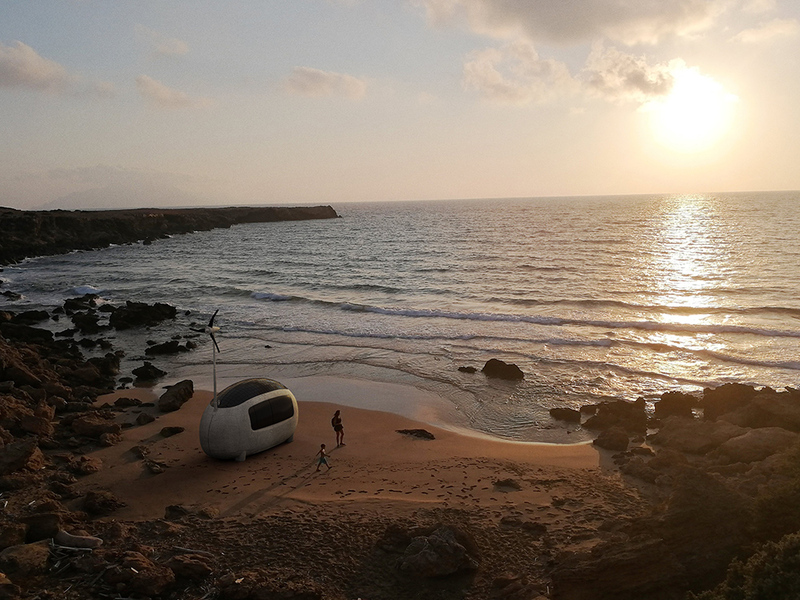 The spherical form of the Ecocapsule maximizes rainwater and morning dew collection and is equipped with membrane water filters to render it potable. Designers sought to eliminate the need for any outside resources to keep the capsule habitable for long periods of time. © ECOCAPSULE, All rights reserved.